Hardbound sketchbooks with sturdy, elegantly embossed black covers. 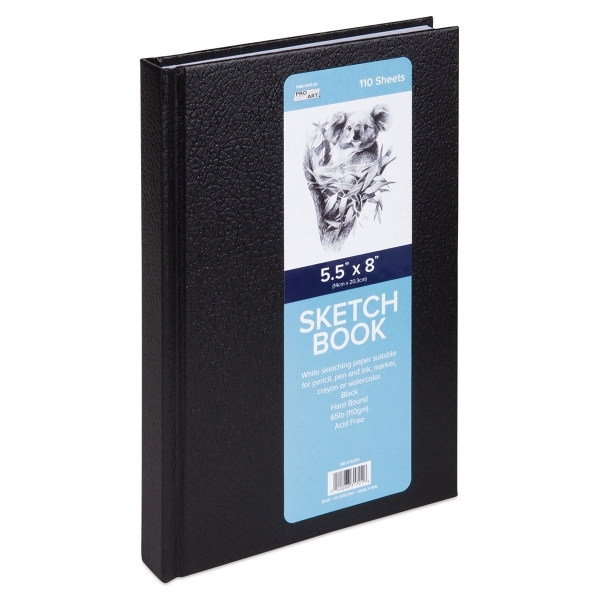 The perfect place to preserve your ideas with pencil, pen and ink, or watercolor. Available in four sizes, each has 220 pages/ 110 sheets of acid free 65lb.